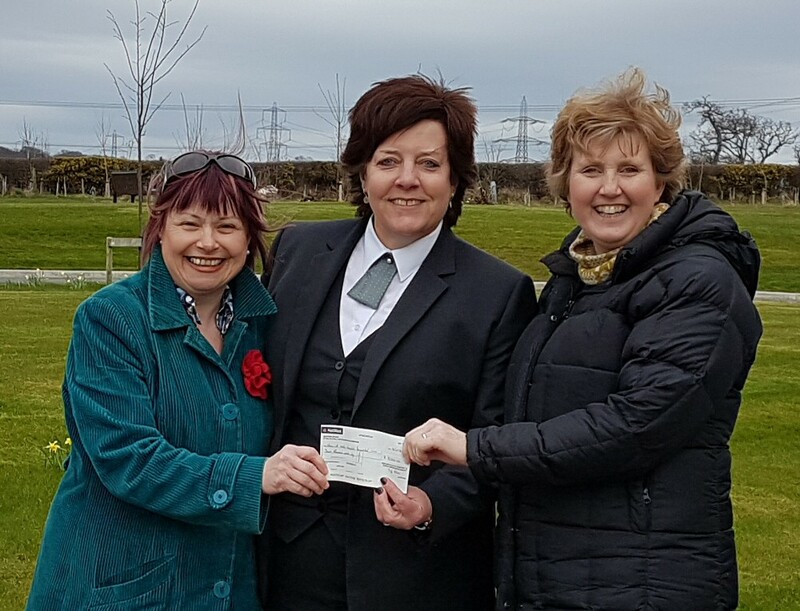 Denbighshire Memorial Park & Crematorium are delighted to be able to support to “Waen Outreach” through a donation as part of the ICCM Recycling of Metals Scheme. Waen Outreach (including Gofal Dydd / Day Care; Helpu’n Gilydd Practical Befriending) provide a large amount of bereavement support within their work. As these are older people, sadly several people attending do pass away and they provide on-going practical support and befriending to families and to others in the group who often find the loss quite difficult as well. Additionally they have supported several in the group who have sadly lost adult children and need a lot of support and counselling to help them through this loss. They are an entirely voluntary organisation with no paid staff and have to raise over £20,000 a year to provide care and support to some of the most vulnerable in our community -they were thrilled to be presented with the cheque. with manager Nan Evans presenting the £5,000 cheque.